This 4 hour session is for both students and teachers. After doing numerous FPV training sessions we have found the secret to keeping your equipment intact. Our Camp is critical for a safe, controlled method of teaching that will NOT destroy equipment! Our itinerary covers units P1 through P5 of the Performance Flying Curriculum. 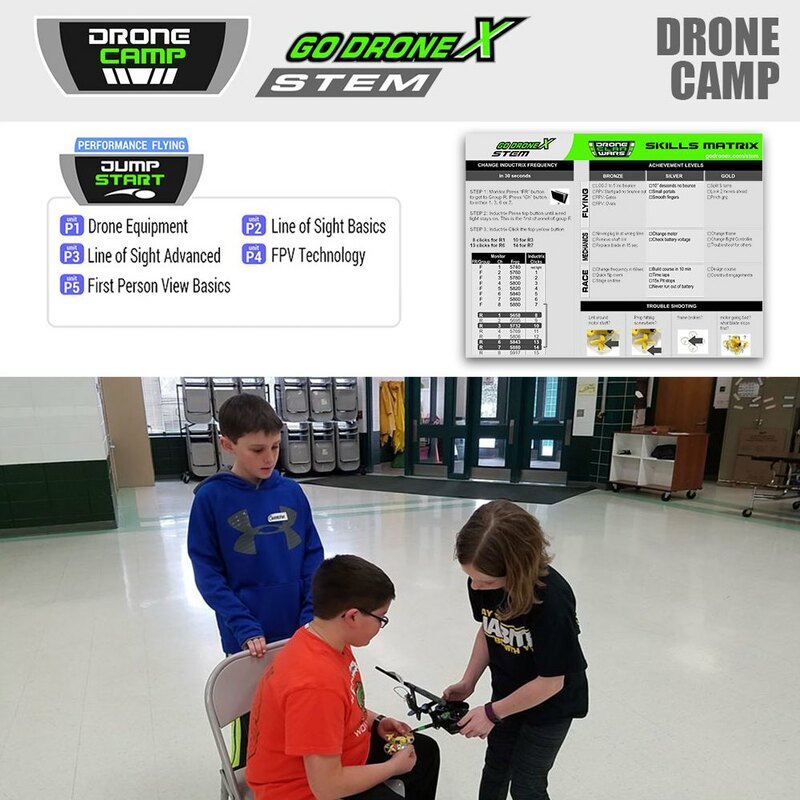 By the end of the session students will be having their first FPV Drone Clan Wars competition! Note that our Equipment Prep service is required or you have accepted the responsibility for working & prepped equipment. Otherwise a good chunk of the first Camp is spent prepping and there won’t be time for any FPV flying. Let’s start programming! We will start the Robotics curriculum. As time allows we will touch on the the major features of the XP Brain. How far we get depends on students programming knowledge. This camp turns a pilot into a winning warrior. We cover the 5 key techniques to scoring well at Drone Clan Wars. This Camp delves into more of the rich features in the XP Brain included video sensors and advanced lighting.